The Epsom Town Committee To Elect Democrats will be hosting a forum of Democratic Candidates who will be running for election in the primary (9/6/2018), general election (11/6/2018). Forum will be held Friday August 10, 2018 from 6 pm to 8 pm, doors open 5:45 pm. Location is American Legion Post 112, 1044 Short Falls Road, Epsom, NH 03234. The movie matinee at the Epsom Library on Wednesday, August 15 at 1:30 is “Death Wish.” In this remake, Bruce Willis stars as an experienced trauma surgeon who has spent this life saving lives until an attack on his family which sends him on his own mission to avenge and gain justice. This film is rated R for strong bloody violence and language. Ivy Green Rebekah Lodge #36 is looking for pie donations for this years Old Home Day supper on Sat. August 11th at Webster Park. If you would like to donate, please call Vickie at 736-4707 or Jeanne at 736-9240. Double crust fruit pies (homemade or store bought) can be left at the small building by the Pavilion on Sat. August 11th. Thank you very much for your help! Wednesday, August 8th 6:30pm “Summer Reading Program Finale” “Treasure Island” presented by the Hampstead Stage Company Please join us for a fun evening to celebrate all our youth readers. This wonderful theatre production is for all ages and includes audience participation. Refreshments will be served. Signups are encouraged! Teen Movie Monday, August 13th 6:30 pm: “Ready Player One,” rated PG-13 Join us for the movie, “Make your own Tacos/Burritos,” chips and drinks! Sign up is encouraged! Tuesday, August 14th 6:30pm Family Movie; “A Wrinkle in Time,” rated PG. Popcorn and drinks provided. The Epsom Town Band will present its next concert on Saturday evening, August 11, at 6:30 p.m. at Webster Park as part of Epsom’s Old Home Day celebration. The park will host many activities and a variety of entertainment throughout the day. The concert follows a bean hole supper at Webster Park and precedes fireworks at the Epsom Central School. The band will perform a variety of music including Broadway selections, marches, light classical, patriotic, and “pop” tunes under the leadership of Jim Lukeman. The band draws musicians from several local towns and is celebrating its 127th year! Mark your calendars, invite your friends and family, and plan to attend on Saturday evening. For more information please contact Penny Graham at 736-9044. EPSOM- Mrs. Linda G. (Schellenger) Gayer, 68, of Epsom, passed away peacefully at home on July 30, 2018. Born in Pittsfield, CT, she was the daughter of the late Harold and Carla Schellenger. She was raised and educated in Connecticut and had been a resident of Epsom for over 40 years. Prior to her retirement, she was a longtime educator at the Northwood Elementary School and served as Head of the Special Education Dept. 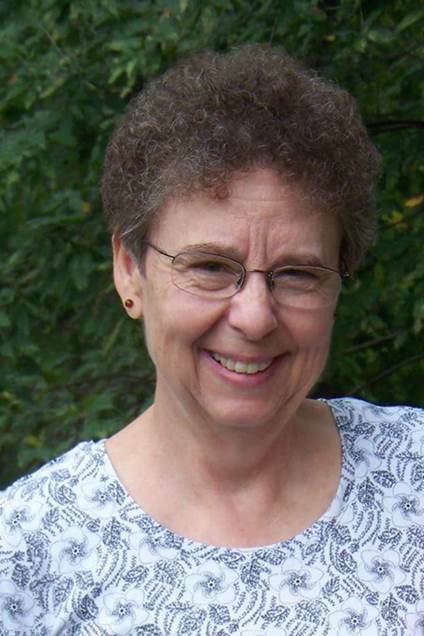 She was a longtime member of the First Church of Christ, Scientist in Concord. She enjoyed puzzles, wordfinds, birdwatching, moose, Winnie-the-pooh, mall-walking, traveling, drawing and reading. Above all, she cherished the time she spent with her grandchildren. Linda is survived by her two sons: Jamie Gayer and his wife Karen of Epsom and Jesse Gayer and his wife Sheri of Derry; her two brothers, Steve Schellenger and Rick Schellenger; and her six grandchildren, Jack, Owen, Cody, Madison, Matthew and Alissa.